Build. Manage. Analyze. Monetize. Most powerful state of the art mobile social simulation game management engine – making it easy, all from the cloud! 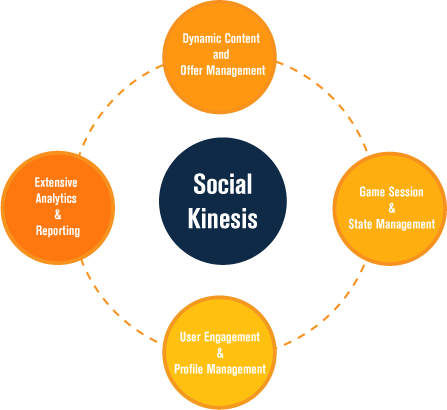 Co-developed by [x]cube GAMES, Social Kinesis is the most powerful force in the social game management and has powered many social-stimulation games. A cloud based management system that allows you to build, manage, analyze and monetize your game with complete ease. Analyze user activity in real-time. Plus much more to give you complete control over your game.